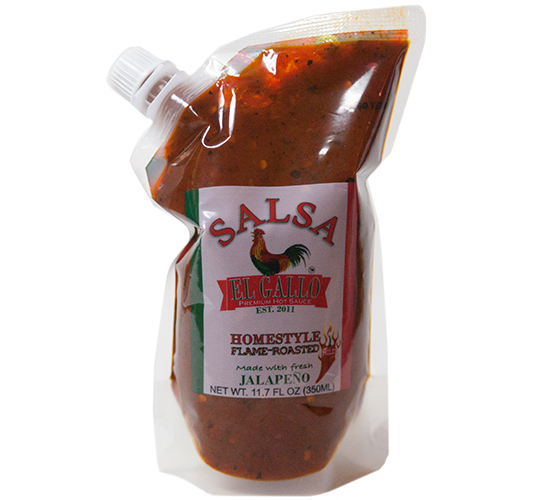 This salsa is a perfectly balanced mid-level heat that packs an amazing flavorful punch. It is ideal to add to your meal as a final touch of flavor or it can even be used as cooking base when preparing a meal. Give us a try next time you are preparing a dish or having a Texas BBQ and want to add an authentic South Texas style twist to your meal. You’ll be glad you did! Preparation Instructions: Shake well, use with any meal or as a cooking ingredient. Ingredients: Tomato, Jalapeño, garlic, salt. Fresh ingredients. No vinegar. No water. No coloring. Refrigeration not required.